Mezco expands their One:12 Collective Batman collection with an all-new version of the Dark Knight as he appeared in DC’s Justice League: Tactical Suit Batman. Designed for combat, the tactical suit was created to handle combat situations with super powered adversaries, like the immortal Steppenwolf. 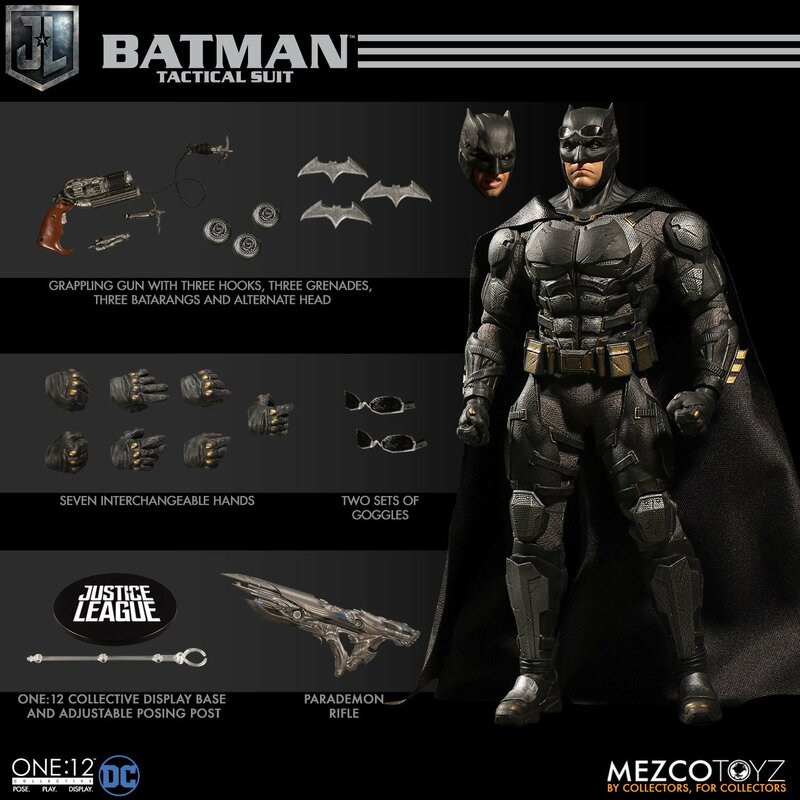 The One:12 Collective Tactical Suit Batman also comes equipped with 2 head sculpts, 2 pairs of goggles for display in up or down positions, a Parademon rifle, a trio of Batarangs, three grenades, and a grappling gun with three assorted hooks. He also includes a display base with logo and adjustable display post along with a cape clip with posing wires for dramatic displays. One:12 Collective Tactical Suit Batman is priced at $80 and is expected to ship between June – August 2018. Tokyo Comic Con 2017: Samurai Deadpool & MAFEX Gwenpool!